Main opposition party in US territory rejects result, however, saying low turnout represents ‘boycott’ of the move. US Congress, however, has final say in any changes to the island’s political status. 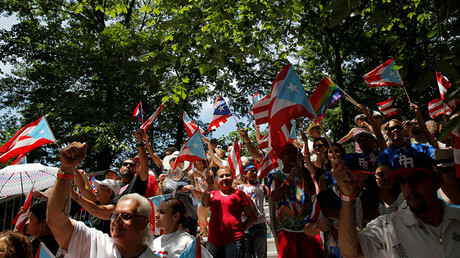 Many believe the island’s territorial status has contributed to its 10-year economic recession, which has prompted nearly half a million Puerto Ricans to flee to the US mainland, and was largely sparked by decades of heavy borrowing and the elimination of federal tax incentives. Maria Quinones, 66, said she voted for the first time in such a referendum, the fifth on Puerto Rico’s status.